A serious accident can have a major impact on your health, your physical abilities, your earning potential and your overall quality of life. You may no longer be able to support your family nor enjoy your favorite activities. If someone else’s negligence has caused you physical harm and financial loss, our Chicago personal injury attorneys can assist. At Phillips Law Offices, we have more than 65 years of experience helping the people of Chicago get the compensation they deserve and need to live a more productive life following an accident. 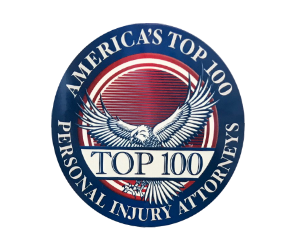 Our accomplished Chicago accident lawyers have a proven track record of success in securing fair settlements and jury awards for clients who have been injured on the job, in auto accidents, slip and falls, through medical malpractice or as the result of other circumstances. We work tirelessly to help clients like you obtain the compensation you deserve so you and your loved ones can move forward with life. Legal Questions: What Does a Personal Injury Lawyer Do? A personal injury attorney deals in cases involving a person who is harmed as a result of another person’s negligence, carelessness or as a result of malpractice. A personal injury case arises when a person has sustained a physical or psychological injury stemming from an accident or mishap. However, calling these events “accidents” does not mean those responsible cannot be held accountable for the losses you have suffered or the expenses you are likely to incur — sometimes for the rest of your life. We hold wrongdoers accountable for their negligence and the damages they cause. What Types of Accidents Can Lead to a Personal Injury Lawsuit? How Are Personal Injury Settlements Calculated? What Factors Are Considered? Our Chicago personal injury attorneys handle the complexities of your legal claim. There are many factors that will need to be considered as we seek to determine how much to seek by way of a settlement. Computer and animation experts to depict conditions, injuries and even re-create the accident in a digital realm. Depending on your case, we may also engage a host of other types of liability and damage experts. We also believe that it’s vital to leverage the newest, most innovative technology to help convey important information to the jury. All this is geared toward presenting a powerful and persuasive case to representatives of responsible parties, and judges and juries at trial, if necessary, showing that you deserve a fair amount of compensation for your losses. Getting a Settlement: How Long Will it Take to See Compensation from a Personal Injury Lawsuit? Many clients are understandably concerned about how long it will take to get a personal injury lawsuit settlement. Unfortunately, there is no easy answer to this question as every case is unique in terms of its complexity and scope. If the defendant is willing to settle, you could see a settlement in a matter of a few months, whereas if the case must go to trial, it could be a year or even two before you see money in-hand. Every case is unique, so your lawyer will need to provide additional insight as to a likely timeframe for the resolution of your claim. Financial Questions: Is a Personal Injury Settlement Taxable? Many wonder if the government taxes personal injury settlements – an understandable concern since this type of jury award or settlement can total hundreds of thousands or even millions of dollars. According to the IRS, a settlement that is awarded for your injuries, pain and suffering is not considered income and as a result, it is not taxable. This can include compensation for losses such as medical bills too. If you were to receive compensation for lost wages (past or future,) then this could be considered income and may very well be subject to taxation. If you have questions, your personal injury attorney can offer insight and provide a referral to an accounting professional who is familiar with this type of financial issue. Lawsuit FAQs: How Much Will it Cost to Hire a Personal Injury Attorney? Your legal fees will vary depending upon a number of factors, ranging from the complexity of your case and how many outside experts and investigators must be consulted, to the amount of time it takes to bring your case to a favorable conclusion. Some cases settle in a matter of months, while some can take years to arrive at a resolution, so the costs involved can vary dramatically. Typically, your lawyer will accept a fee on a contingency basis, meaning that the attorney’s fees are paid from the settlement or jury award that is recovered. You deserve legal assistance from a law firm that achieves results. Phillips Law Offices has spent more than 65 years working for clients like you. Our commitment and experience has earned our practice the reputation as being one of the Midwest’s most well-respected law firms. Call (312) 346-4262, or contact us online today to schedule a free consultation.